Sometimes what we really want, isn’t in our reach when we want it — like a new car. But there are quick tricks that can be done to help revamp a used car and make it a little more comfortable until a new one can be bought. 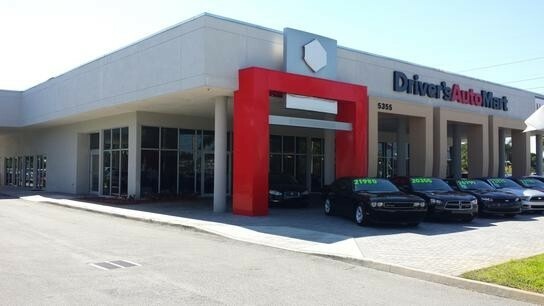 If you are ready to start looking for a new car — visit us at Driver’s Auto Mart in South Florida. We give great prices for trade-ins and have a great selection of makes, models and years. Whether cloth or leather, seats are one of the first things that start to show age and wear. Seat covers are a great and affordable way to cover up dirty and worn interior or to preserve seats for when you are ready to trade in your car. As simple as it sounds, a nice smelling car can make all the difference to how you feel when you are in it. Not only are pleasant smells a nice subconscious factor, when your friends get in your car, they’ll notice. This one is a little more expensive on this list, but it can make a huge difference each time you get into your car. Not only does tint help to keep the car cooler on sunny days, but it also helps protect the car’s interior from sun damage. Again, it can be the small things that we overlook that can make a big difference. Replacing your windshield wipers sometimes turns into one of those chores we just keep ignoring, then getting annoyed every time we need to use them. It’s a very affordable and super easy fix. Though it’s a nice alternative, if you have a strict budget, you don’t have to go to get your car detailed by a professional. There are a lot of awesome and affordable products that you can buy to do your own professional detail. For leather there are great cleaners and polishes and for floor mats and upholstery, almost any regular floor cleaner will get out tough stains. Use some glass cleaner on your windows and mirrors and throw in a new car air freshener — almost good as new. Car mats that are an eyesore? If you can’t clean the stains or if they have tears in them, invest in some new ones. If you do a lot of outdoor activities or track in a lot of dirt in your car, consider getting rubber mats – super easy to clean and they are protective.